Assessment is a dirty job. That’s why there’s SBG Free & Clear® with Morale-LiftersTM. With SBG, teachers are FREE to assess and re-assess what they want, when they want, and how they want without worrying about many points should an assignment or problem be worth and how will it taint the quarter grade. Here’s a quiz I gave last year on constant velocity motion. Before SBG I would agonize over assigning point values and had agita trying to give partial credit. The SBG version simply links the problems to the standards. A single problem can address multiple standards. A single standard can be assessed with multiple problems. SBG sets you free! Two standards, one problem: Students must be able to interpret the position-time graph given (standard CV.6) and be able to draw the corresponding motion map (standard CV.4) in order successfully answer problem 2a. SBG has reassesment naturally built in. After the quiz above, we continued our work on constant velocity motion. The unit concluded with a lab practicum in which students simulated the tortoise and the hare story with 2 toy buggies, one fast and one slow. The “tortoise” had was given a head start, and students had to determine where and when the hare would pass the tortoise. If you scroll to the second page, you can see this is the first time for assessing CV.8 and the second time for CV.6. Later in the year, when we are doing momentum conservation, I can reassess on some of the constant velocity standards to check for retention. If you scroll to the second page, you’ll see that CV.4, CV.6, and CV.7 are reassessed again. With SBG, students are FREE to re-assess what they want, when they want, and how they want without worrying about how their past performance will impact their grade. I am very happy with the grading system for two reasons. A) it fosters success, and I believe that improves confidence. B) Physics is not easy. I, and I believe most students, do not always get it the first time. Being able to be graded on what we ultimately know improves my own stress-level, but by going over certain topics, I also get to know and understand them better. As you can see,this level of freedom gives SBG its morale-lifting action. With SBG, teachers are FREE to assign homework without worrying about how to grade it and what to do when students copy homework from each other. Teachers do not have to collect a stack of copied work, take several hours to mark them, only to return them the next day to end up in the blue recycling bin. With SBG, students are FREE to tackle homework.for the sake of practice without worrying about performance. And students are free to choose not do homework if they do not need the practice. A word of caution: You must trust your students and they must trust you in order for students to take ungraded homework seriously. Read about what happened when I broke that trust in an earlier post titled SBG and Trust. SBG makes it CLEAR to teachers which of their assignments are meaningful. Does this assignment help students become more proficient in my standards? Can this assignment be used to assess students on my standards? If the answer is no, away it goes! SBG puts a stop to baseless extra credit and pointless crossword puzzles. For example, in the past, I would give extra credit for students who submitted an entry for the Physics Challenge Problems that are in each issue of The Physics Teacher magazine, the High School Physics Photo Contest, or the Toy Box Physics Video Contest. The extra credit would usually be something like dropping their lowest quiz grade, exemption from an uncompleted homework assignment, or just extra points added to their quiz average. Now with SBG, I can still have students enter those contests, but I will assess their entries based on the standards that apply. Hopefully, they will chose a topic they are weak on and use the contest as an opportunity to grow and to demonstrate to me that growth. Now students have another method to show me what they know outside of a quiz and get credit for it — more morale-lifing action! SBG makes it CLEAR to students what they need to know and be able to do in order to be successful. With a list of standards give to students at the start of each unit, they do not have to second-guess what will be on the test. Students also know exactly why their assignments are important. I like the grading system because it helps you know what learning goals you need to focus on, and in what areas you need to study for the quiz. By putting them in those charts, we can also be aware of our progress at every point throughout the quarter. You can find more student reactions to SBG in an earlier post called 31 Reasons Why Kids Like SBG. As they were taking apart their container to see if their egg had survived, these two students analysed the design of their container and highlighted the features of the design which made it successful. They had made a few last minute changes and they explained to me why they made those changes and how those changes improved the design. When asked, they were able to describe the physics concepts behind all the successful aspects of their design. As they were talking, I thought to myself, “please write all this down in your lab report” because a lab report was how I was going to assess their understanding of the concepts of physics and design. But did those brilliant, eloquent explanations appear in the lab report? No. Did those students get credit for their understanding that had been demonstrated to me? Well, it wasn’t on the rubric for the lab report. These two students weren’t unique. Another student who was able to tell me why his container had worked didn’t even submit a lab report. At that moment I knew there had to be a better way of giving credit to students for what they have mastered. Enter SBG. Imagine now that I have a time machine and I can go back to April during my practicum. How would I deal with the same situation using SBG? For this project, I would have two forms of assessment. One assessment would be the lab report with which I would score the students on two standards: (1) understanding Newton’s second law and (2) demonstrated ability to effectively communicate in writing. Another assessment would be teacher observation or interview. I would record a score just for the student’s ability to demonstrate understanding of the relationship between force, mass and acceleration. 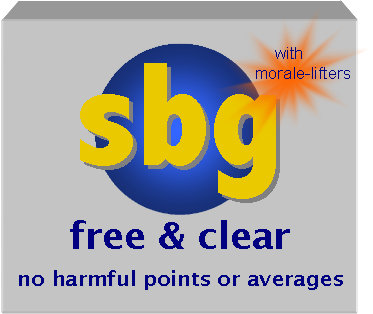 That’s the power of SBG Free & Clear® with Morale-LiftersTM. This entry was posted in Standards-Based Grading and tagged assessment, inquiry, lab, physics, standards-based grading, teaching. Bookmark the permalink. I’m glad to hear this is working so well for you. Giving feedback was a weak point for me last year. Do you have kids solve problems on paper and on webassign? Are they the same problems? Do you collect the modeling worksheets, too? Thanks! Right now, I’m creating a little WA-check assignment that checks the answers on a few questions, and asks how the homework went. Since I’m picking up WA’s nuances slowly, this is a frustrating exercise for me and the kids. I am also collecting the Homework, and giving that pretty extensive written feedback. This will probably decrease in time, but I try to start off taking up everything so that kids can see real value in doing the HW. I’ve also decided to let me kids use the modeling packet on the test, which should give them incentive for actually completing it. I am trying SBG this year in my ninth grade honors physics. I am an ASU trained modeller, too. 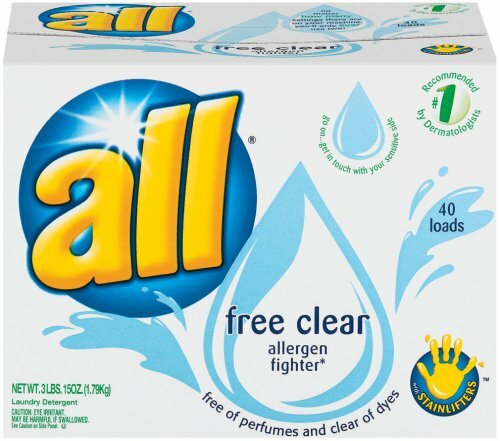 Your posts (and the stuff from Jason, among others) are tremendously helpful. Thanks for sharing. I hope to contribute to the wisdom in the future. Don’t forget to check out John Burk’s blog at http://quantumprogress.wordpress.com ! He’s modeling with freshman and doing SBG, too. I’m learning a lot from him! In your example, you mentioning the tortoise and hare lab practicum being the first time you assess CV.8. How many times do you assess it after that? Just once more on the unit test? If so, does that mean students are given two chances on CV.8 in class, and they’ll need to come in outside of class if they don’t master it by then? I’m planning on implementing SBG this year but these are the types of logistical questions that slow me down. Thanks! Good question. The CV.8 standard is starred. That was a failed attempt (it was my only attempt) to have “advanced” standards for all my students to reach for without risk. My thinking was that a kid who wanted a 100 needed to master those advanced standards. But if student didn’t master them, it wouldn’t hurt them. For that reason, the lab practicum was the only time I assessed CV.8 last year. My goal is to have each standard assessed at least twice in class. I could see assessing this again on a follow-up quiz as a standalone question. I also could see the reassessment be part of a conservation of momentum question — have the student calculate when/where the collision will happen. SBG is a path where you see the trail, but not the end point. You’ll learn a lot along the way as long as you’re flexible in trying to create a system that works for you and your students. Keep us posted of how things are going this year! And another question… do they do the lab practicums independently? I don’t know how I feel about assigning an assessment grade for a group assignment… yet there’s not enough time/equipment/hands for them to do some lab practicums independently. The bulk of my assessments are quizzes. There are also labs and lab practicums which are graded mostly on lab standards and a few content standards as necessary. Last year we had an egg catcher competition right after our momentum and impulse unit. Students had to describe the physics behind the key features of their catchers, so I was able to assess several content standards there as well. Regarding ungraded assignments: If the kids know they will be getting feedback on the ungraded assignments (formative assessments) and they understand that you will be building your lessons around their performance on those formative assessments, I think they will do the work. In class, I make an analogy to the Marshmallow Challenge: the successful towers are repeatedly tested during the building phase (formative assessment and feedback) and can hold the marshmallow at the end (summative assessment) while the unsuccessful towers don’t even try to hold the marshmallow until time is up. The practicums are not done independently. They may work in groups. I think the practicums are challenging enough that they typically cannot be solved by one person alone, but together they can devise a solution (see UMPERD’s Context Rich Problems). What’s new this year for me is counting only the most recent score, so if I feel that the practicum scores do not accurately reflect students’ true knowledge, I can assess again using a quiz and the newer score will override the practicum (grades can go down). I think the teamwork and the challenge of the practicums are important experiences students wouldn’t get otherwise. I hope this helps. Keep asking questions! Oooh, I like you analogy with the marshmallow challenge. I never thought of that. Will definitely bring this up. I think the more ways we have of describing the “fun” and valuable assessment/grading kids do every day (usually in things they love, like sports and hobbies), the better they will begin to see the point of SBG. What would be your suggestion for me to handle homework when the School Committee of my district requires us to give homework and use it for 20% of the students’ grade? I was considering collecting homework with one or two standards in mind to grade. Any thoughts? Weird. My district (Los Angeles Unified) was about to implement a policy that stated *maximum* 10% homework. They pulled out last second and might postpone it to next school year.